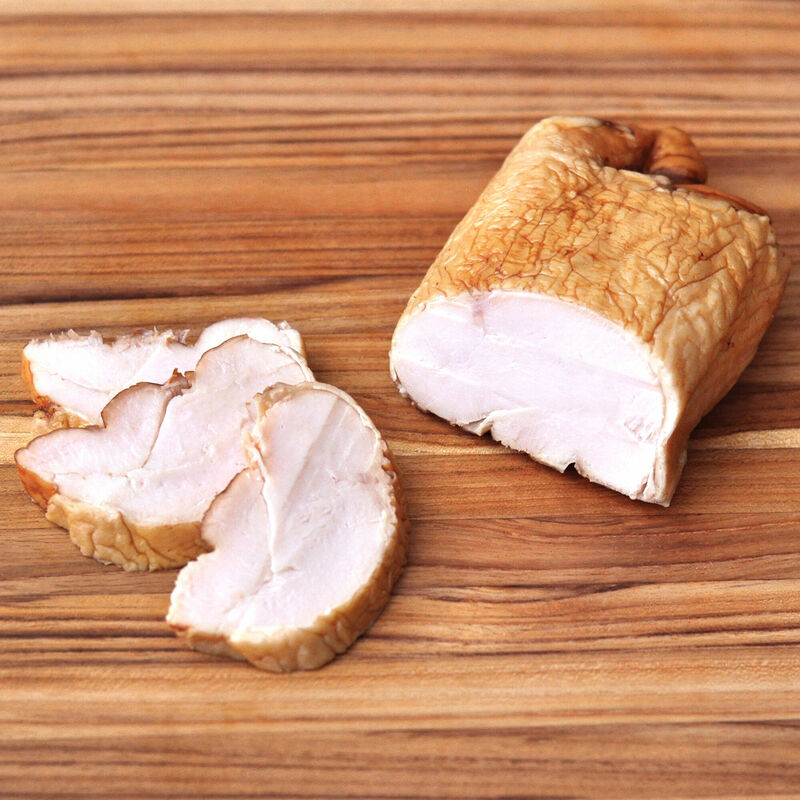 All-natural smoked chicken breast made from free-range chickens raised humanely with no antibiotics or hormones. Fully-cooked and ready-to-eat our chicken breast is smoked over real woodchips and made without any preservatives, nitrates, nitrites, fillers or artificial flavors. Great to have on hand for a quick weeknight meal, smoked chicken breast can be cubed and tossed with your favorite pasta, fresh garlic, grated parmesan cheese and artichoke hearts. Slice or cube the ready-to-eat chicken for quick salads, sandwiches and pastas. Just replace the shredded chicken on your salad with our smoked version for a pleasant change of pace. Or slice for a gourmet sandwich with a soft cheese like brie or chèvre on a baguette. Try making smoked chicken salad with a touch of mayonnaise, salted pistachio nuts and dried cranberries for a tasty treat.